The white tulips look so nice. Yes, they make quite a show in large numbers. It’s good to dream as the snow keeps coming! Spectacular in black and white. Nice choice. Thanks. It’s pretty ho-hum in color. So glad you enjoyed the tulips. They are beautiful flowers in mass plantings. Yes, there is something about a tulip. A peaceful piece indeed. Very nice – a great black and white contrast! 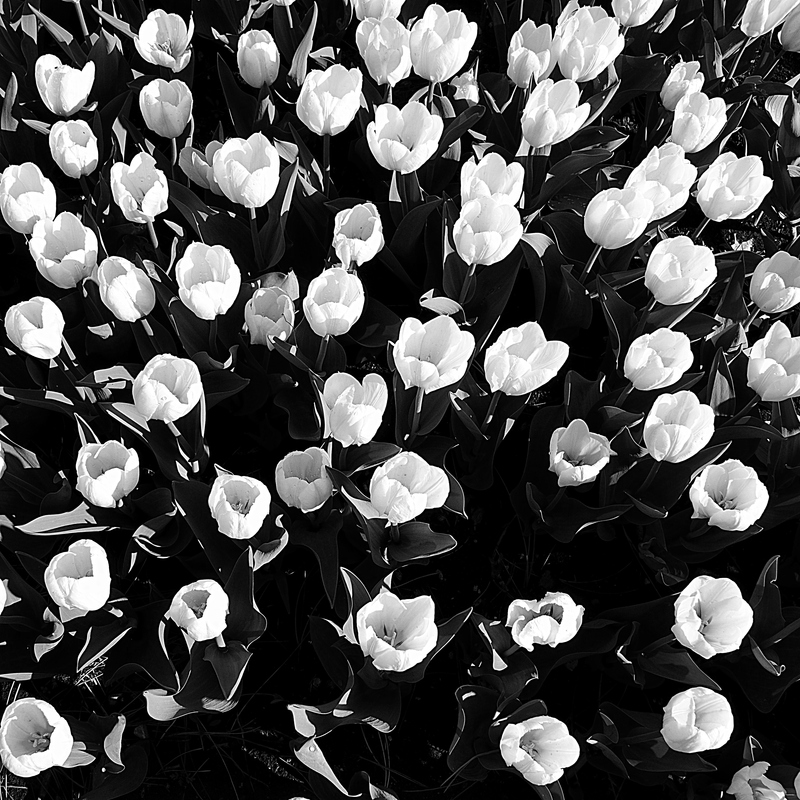 The white tulips really pop in B & W…much more so than in color. Very striking photo and I love the haiku!